If you don't believe in God, where do your morals come from? Non-believers hear this question constantly. In this episode, we talk about morality as it pertains to scripture and to our everyday lives. 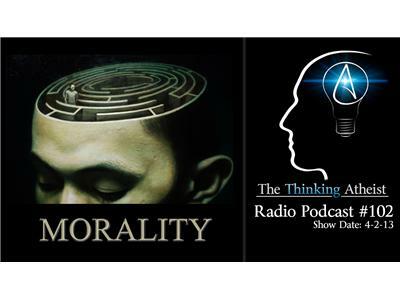 We'll also present to the listeners and callers a series of ethical dilemmas that will test their wits and, hopefully, reveal humankind's innate desire to be good and moral creatures. Louise M. Antony "Good Minus God"
Sam Harris "The Myth of Secular Moral Chaos"